The answer to that is most definitely YES! Matts usually form close to the skin – especially behind the ears, in the armpits, the neck and chest region. The knots will enlarge and become tighter – especially if they get wet. If this mat remains undetected or their coat care is neglected, several things could happen, air will not be able to circulate through their hair – dogs use this air to help regulate their temperature, by either using it to keep cool or by trapping it to keep themselves warm. This would also become the perfect breeding ground for the bacteria that cause yeast infections and, in the most extreme of cases, severe matting can actually pull the skin from the muscle! To Demat or not to Demat? Imagine you have chewing gum wrapped around the roots of your hair and someone is trying to comb it out. Now imagine that feeling behind your ears, under your armpits around your chest and anywhere else that you might have hair. That is how it would feel for your dog – you can’t reason with them, all they know is that it hurts and they want it to stop – the only way they know how to make it stop is to bite – this is how a normally happy dog ends up hating the groomers and the grooming regime. In some cases you might be able to demat, but like our hair – once the hair shaft is damaged you cannot repair it – it has to be removed. 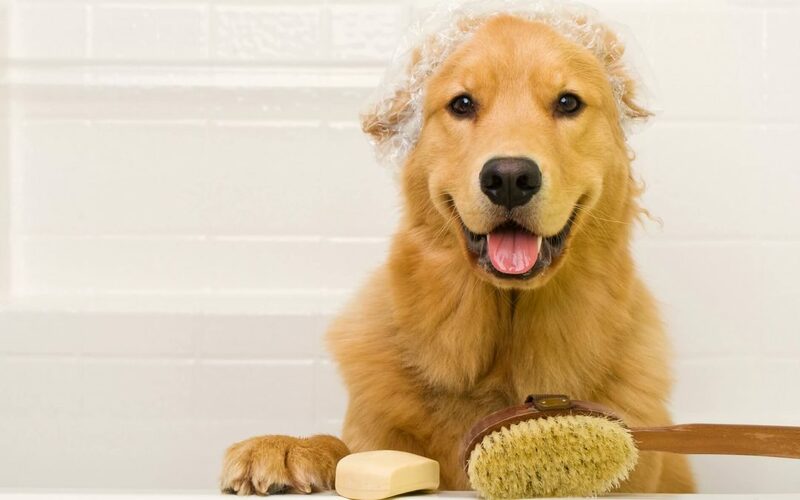 If you have been told by one of our groomers that your dog is matted, then the kindest thing to do for your pet is to simply shave and start again. Don’t worry – it is only hair and you will be surprised how quickly it grows back! Groomer’s tip: When collecting a newly shaved dog please remember to bring a jumper or coat in the winter, and apply sun lotion in the summer to prevent sunburn. Read our Blog “How to groom your pet at home” to learn tips on how to prevent a matted coat.